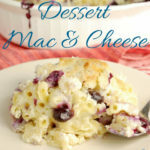 Dessert Macaroni and Cheese! Yes, you read that right! 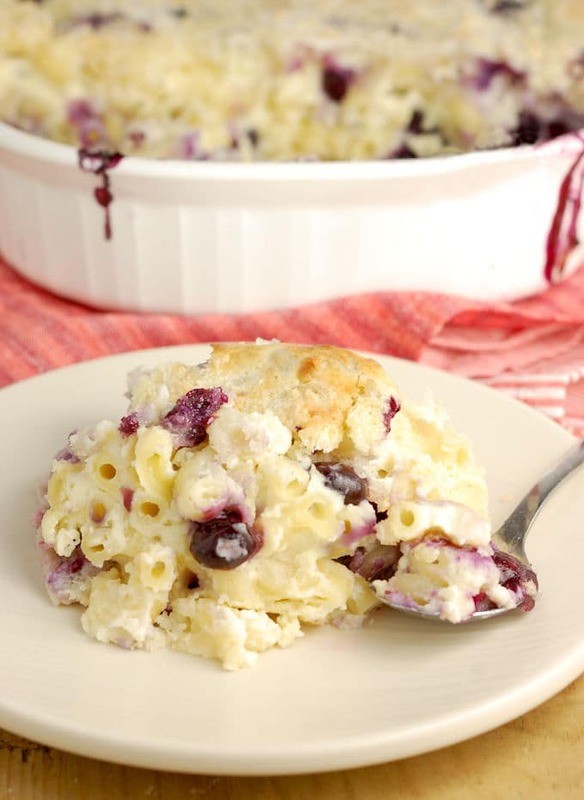 A sweet mac & cheese made with cream cheese, blueberries and vanilla, it’s a sweet take on a classic comfort food. 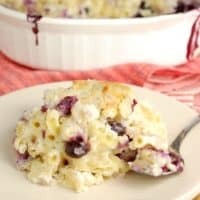 Similar to bread pudding or rice pudding, Dessert Macaroni and Cheese has a starchy base held together by a baked custard. The idea came to me one day and I figured someone must have made this already. I googled and read all about Mac and Cheese, saw all sorts of variations on the savory dish, but didn’t find any sweet mac & cheese recipes, so decided to give it a try. Well the first go-round was really strange. I made the traditional white sauce (Bechamel) and instead of adding cheddar cheese, as I would do for a savory mac-n-cheese, I added cream cheese, vanilla and sugar. It’s not that it tasted bad, it actually tasted pretty good, but the look and texture was so similar to regular mac-n-cheese that there was a sort of cognitive dissonance between what my eyes were seeing and what my mouth was tasting. My husband had exactly the same reaction. Cook the flour and butter together to make a roux for the white sauce. The roux will thicken the milk. For round two I made the white sauce separately from the cream cheese base. I mixed the cream cheese, sugar and eggs together for a simple cheesecake-style batter, then combined the two with the cooked pasta. 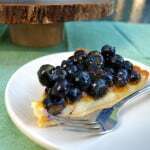 Tossing blueberries into the mix added lot of flavor and moisture, and also gave the eye a cue that this was dessert. This is more important than you can imagine. We eat with our eyes, right? 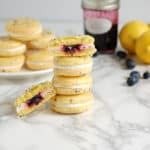 The blueberries could be switched out for another fruit, and cinnamon, lemon zest or other flavors could be added to change up the flavor. 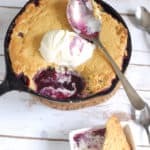 I definitely recommend putting berries or chocolate chips or anything to make it look like a dessert. I really like this dish. 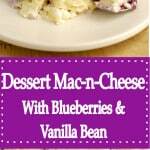 Dessert Macaroni and Cheese might seem strange at first, but give it a try and let me know what you think. If you love this dish as much as I do, please give it a 5 star review. Dessert Macaroni and Cheese! Yes, you read that right! 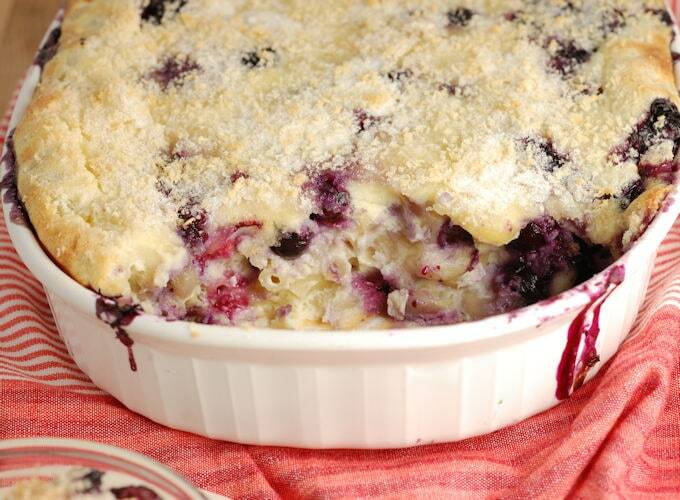 Made with cream cheese, blueberries and vanilla, it's a sweet take on a classic comfort food. 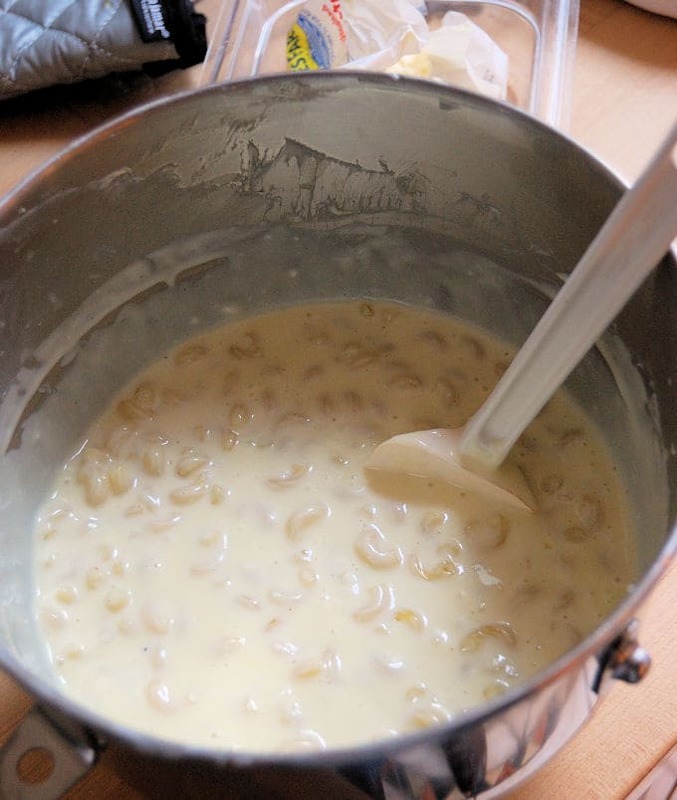 Heat a large pot of salted water for the pasta and cook the pasta to al dente while making the batter for the custard. Drain the pasta and set it aside. 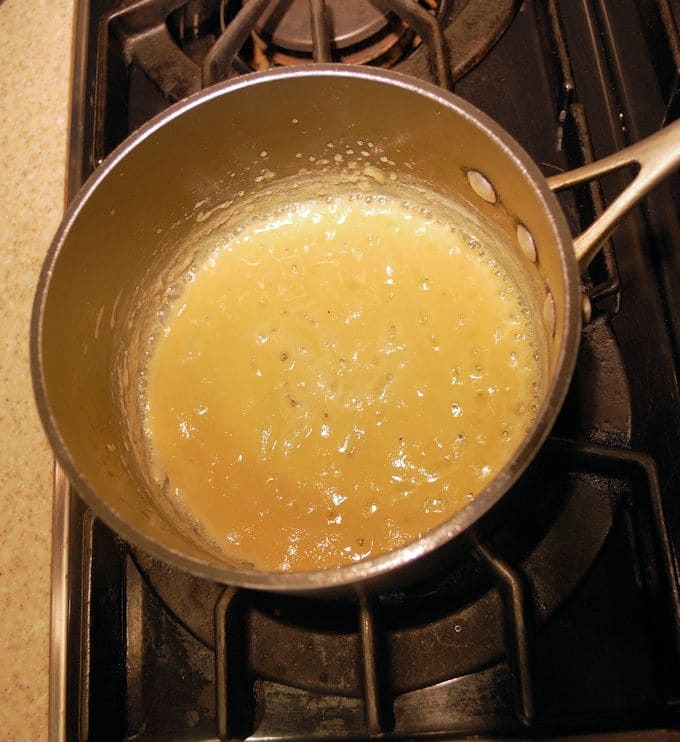 To make a roux, combine the butter and flour in a small saucepan. Cook over medium heat, whisking constantly, until it begins to simmer and thickens to a pale beige paste. Slowly whisk the milk into the roux. 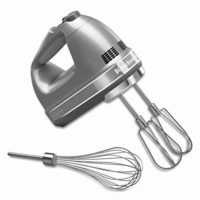 Continue to whisk until the sauce has no lumps and is the consistency of thick cream. Scrape the vanilla seeds into the warm sauce with a small pinch of salt. Set aside to cool until it's just barely warm or room temperature (see note). Preheat the oven to 350°F. 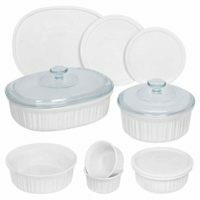 Lightly butter a 2 quart casserole dish. 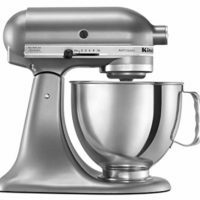 On low speed, cream the cream cheese and sugar in a large mixing bowl until it's smooth. Scrape the bowl so there are no lumps of cream cheese. Add the eggs, one at a time, scraping the bowl after each egg to avoid lumps. Add the cooled white sauce to the cream cheese mixture to form a batter. 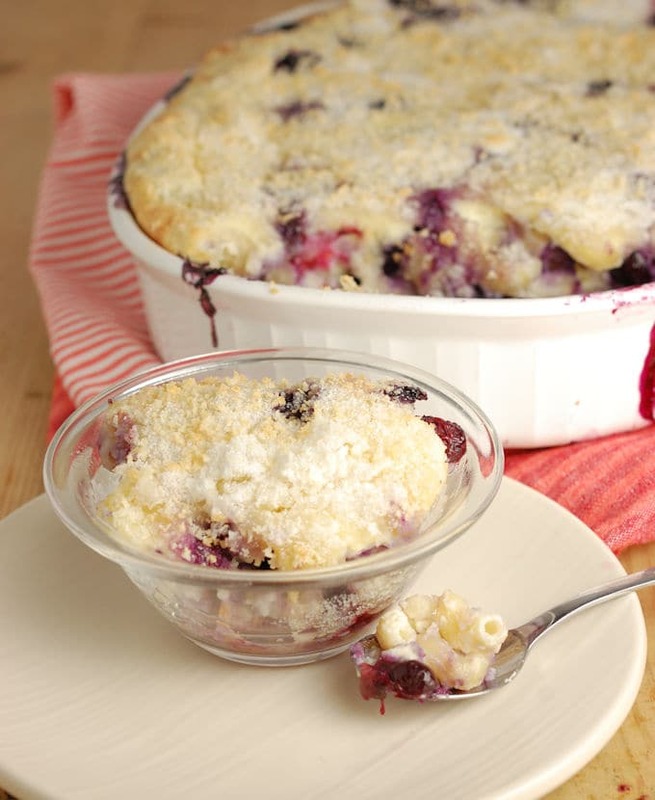 Add the cooked pasta and the blueberries to the batter then pour the batter into the casserole dish. 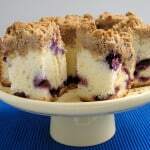 Combine the Panko bread crumbs and 1/4 cup sugar and sprinkle the topping over the custard. Bake until golden brown, slightly puffed, and the custard is set in the center. Just like savory macaroni and cheese, this is best still warm from the oven. 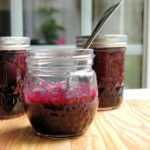 Leftovers can be refrigerated and re-warmed. Make sure to cook the macaroni "al dente". Leaving the pasta slightly undercooked will allow it to absorb the sauce as it bakes. If you combine the white sauce with the cream cheese mixture while the sauce is very hot the mixture will look curdled. I can’t believe you’ve never heard of, or indeed tried this!! I had tried this as a kid. You’ll need to expand your references. 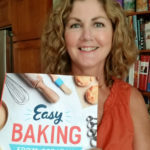 It might be a Jewish recipe. Thanks. Hi Alistair. 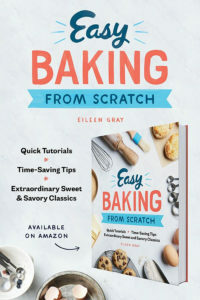 I’d never heard of a sweet macaroni and cheese and didn’t find any recipes for it. I know there’s a Jewish recipe for noodle kugel which is similar.